Exports jumped 14.2% year-on-year in March after falling 20.8% YoY in February, mostly due to base effects. Imports continued to shrink further, falling 7.6% from a 5.2% drop a month ago, partly due to lower imports from the US compared to a year ago. To minimise the seasonal effect, we prefer to look at the first three months as a whole. Exports in 1Q grew 1.4% YoY while imports shrank 4.8% YoY. Trade with the EU was 15.8% of total trade while the US was 11.6%. If there is a trade deal between China and the US, Chinese imports from the US will likely increase. But for 1Q19, imports from the US fell 8.5%. Exports for the coming months don't seem to be as promising. Early signs from China's official manufacturing PMI's export order showed an uptick in March to 47.1 from 45.2 in February, but the reading was still below 50, i.e. still shrinking, which suggests that exports will only improve slightly in the near future. A potential trade deal with the US probably wouldn't help China's exports because the trade talks are focused more on the increase in China's imports from the US. Meanwhile, global growth has been downgraded by the IMF and the World Trade Organization says the conflict over tariffs will hit global trade growth this year. This should be reflected in more moderate export growth from China in the coming months. A report from Bloomberg says China could buy an additional $30 billion a year of US agricultural products, or 1.4% of total imports of $2.1359 trillion in 2018. We are aware there could be a substitution effect. If China imports more from the US, it could import less from other economies. But China may not want to upset those economies and so we think the net substitution effect could be insignificant. 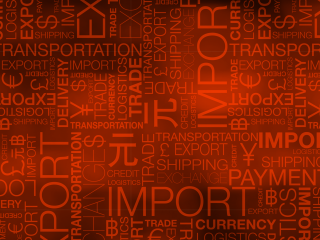 There are another two large factors influencing import growth, one is value-add manufacturing activities that need imported parts, and another is retail sales that we believe could be a hurdle to imports. Manufacturing activities have been supported by fiscal stimulus and raw materials will need to be imported, while imported parts may be needed at a later stage. But we realise that mining activity within China has grown and this may reduce demand for commodity imports. Retail sales growth should stabilise with the fiscal stimulus in place. But consumers could still be cautious, and we expect big-ticket consumption items to experience soft growth as long as there is uncertainty about the future of trade talks. As long as the job market is stable, the Chinese government doesn't need to increase its fiscal stimulus from a total CNY4 trillion in 2019. For example, imports of automobiles and parts fell 15.9% YoY in 1Q19. We don't think the yuan will help to support net exports if new export orders are falling. In fact, we don't think the yuan will be used this way in 2019. Our view of the USD/CNY largely following the dollar index is still valid. But we believe the yuan has a new role as a tool for trade negotiations with the US. During recent rounds of trade talks, the yuan depreciated slightly, defying President Trump who said the yuan should not be allowed to depreciate if an agreement on trade is struck. We think this will continue at least in the early stages of implementing a trade deal. Our forecast remains at 6.75 for the USDCNY by the end of 2019.